How Messenger Bots Taking Position of Mobile Apps? With the invention of mobile app technology, it has taken the position of websites due to its amazing features and unmatched benefits that it offers to millions of smart phone users all across the world. But, as time and tide don’t wait for anyone, advancement in any technology also not waits for anyone. Researchers, developers and programmers, all across the world everyday strives to discover new technology persistently that creates a revolution in the field of information technology and mobile technology. Chatbots is also become a revolution in the mobile technology. Messenger bots or Chatbots is the latest services that progressively taking the position of websites and mobile apps. It is powered by artificial intelligence and some rules that one can interact with using a chat interface. It can be any kind of services from fun to functional and become live in many popular chat products such as Facebook Messenger, Telegram, Slack, Text Messages, and many others. For instance, if you need to buy any watch, you need to visit its online store and search for your desirable watch to purchase it that requires time to spend for surfing. If that store makes a Chatbot, you just have to message (the watch company) on Facebook what you are looking for and just tell it. You will find a quick reply and make an instant order to buy your desirable product without spending more time for searching on an online store. There are several benefits of messenger bots that make it popular for businesses to gain its productive outcomes. 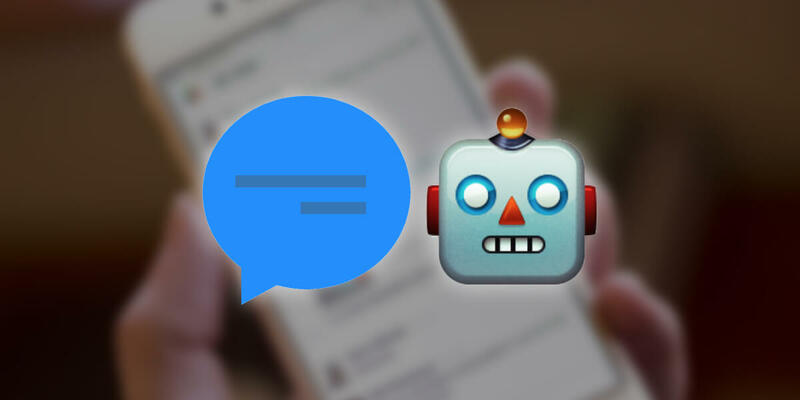 In this blog, we have discussed important information about how Messenger bots challenge the utility of mobile apps and much more useful information of Chatbots. Today use of messaging apps is rapidly increasing, for example Facebook messenger has over 1 billion users every month and had left Facebook behind in the race. Hence, its growth factor is higher than the Facebook. It shows that messaging apps on the top rank and thus, businesses have to choose such engaging platform helps their customers to reach their brands or services quickly and efficiently. In present times, Chatbots have established the latest technology trends and gradually building its reputation as become a captivating technology in the mobile app market. Facebook has announced about this innovative Chatbot platform that it has integrated with its messenger app. This innovative platform enables you to buy shoes or book a taxi on the messenger. No Need to Wait for using Bots – You need to wait for loading website or page you are looking for. Using bots, it loads instantly and no need to wait longer. No Download Require – To use mobile app, you need to find, download and install it on your app, thus, you need to spend time as well as space to download an app in your Smartphone. You don’t need to download Bots. Just start messaging it to use it. Bots Use Natural Interface, Language – It becomes very simple to use compared to other technology created before. In creating mobile application or website, you need to design layout, buttons, icons, visual interface and need new interface to introduce new products. For Bots, you don’t need to learn a new interfaces, it works on a natural interface that human understands. Yes, Bots are designed in such a way that it understands language that we use to communicate. The days are not far, when messenger bots understand us completely. Artificial Intelligence – Chatbots use superior technology, an artificial intelligence (AI) which enhances accuracy, greatly. Implementing AI techniques with a focus on text enrichments, linguistic analysis, face recognition, concept inferences as well as sentiments analysis and other techniques with an aim to provide unmatched user experience. Recognizable Platforms – Businesses prefer Chatbots instead of apps for their brands because of used of familiar platform. Chatbots use popular platforms such as Facebook Messenger which is highly popular all across the world. Moreover, the flawless and seamless integration enhances the ease of the consumers using Chatbots. Having familiarity with its operations, it becomes more convenient for the users as well as businesses. The two types of Chatbots are, function based that utilized a set of rules and the second one is an advanced version which utilizes machine learning. In the first type of Chatbots, there are only specific commands to respond and have limitation. It cannot understand if any wrong thing communicated. It becomes as intelligent as it is programmed. In the second type, it utilizes Artificial Intelligence (AI) in which it understands your language and not set of commands only. It become getting smarter by increasing its conversation with people. You can get the weather information as soon as you ask Weather Bot. You can ask News Bot when you want to hear about the latest happening. With the help of Grocery Bot, you can order your desirable grocery. For your money management, personal finance bot will provide best guidance. To schedule your meeting on the Facebook messenger team, scheduling bot makes your task simpler. One of the most popular chatbot called Xiaoice in China, which is developed by Microsoft, has over 20 million users. It is a bot which becomes your friend. Do Messenger Bots Can Challenge the Utility of Mobile Apps? Even though Chatbots popularity is increasing rapidly, it becomes difficult to make the decision that it completely wraps up the market of mobile app in the near future. There are no doubts about the benefits of messenger bots as well as its superior technology helps businesses to provide their customers an experience like a face-to-face selling. Basically, bots are useful for mobile app development companies in order to enhance functionalities of apps. Using this advanced technology, mobile app developers can develop high-end mobile apps in order to deliver them better user experience. For instance, when you find some songs or singer in music app, with bots, it helps you to implement the way you make your search and make it more precise, efficient and fast. Even though, there are certain obstacles as it utilizes artificial intelligence, with more research and technology advancement, you will find bots with higher performance and accuracy to defeat the present challenges. Using the superior technology, messenger bots challenges the utility of mobile apps at some extent, but it takes time to capture the position of mobile apps completely in short times. There are no doubts about the benefits of this technologically advanced service; businesses need to think about its lucrative outcomes to increase opportunities in developing brand and explore new horizons for business to implement it efficiently and effectively. In addition, for a better user experience with smooth customer interactions, messenger bots comprises great capabilities to create a revolution in the mobile app market.